The next time you have a little time, grab a couple onions, slice those suckers up, and throw them in a pan to caramelize. When they're done cooking, stick them in the fridge (they'll keep for a few days to a week) and they'll be on hand for virtually anything! What's my favorite thing to do with them? Pizza with caramelized onions, mozzarella cheese, and a drizzle of balsamic vinegar. Yum! 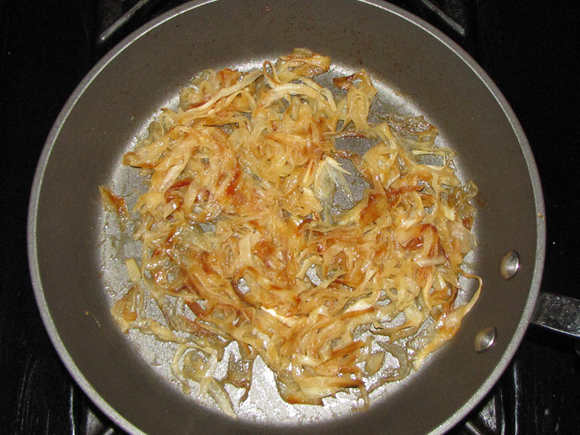 When onions are caramelized, their natural sugars come out and they become so full of flavor. There are so many depths to that flavor because you've cooked them for a long time. They are just one of life's simple pleasures that aren't utilized nearly enough. So the next time you're cooking out with burgers or brats, whip up some caramelized onions to top them with. Or you can have yourself some awesome French Onion Soup. Or you put them on your next quesadilla. Or...well, I could go on and on, but I'll just leave you to your cooking. 1. Cut the tops and bottoms off your onions. 2. Peel the skins off then slice the onions into long strips. 3. Using a heavy bottomed saute pan, heat the oil or butter. 4. 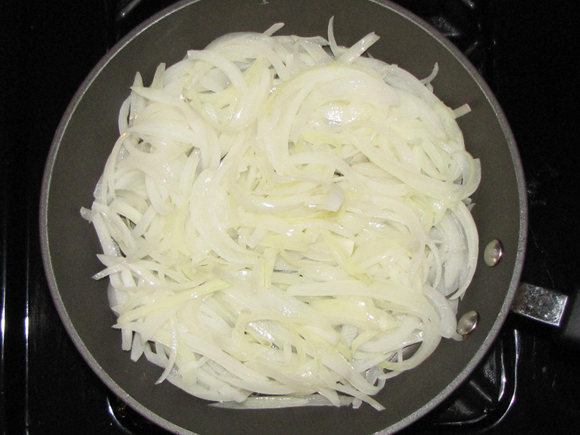 Throw in your onion slices and cook over med-high heat for about 5 minutes, stirring almost constantly. You want to make sure they get real hot at this point. 6. Cook the onions for about 30 - 45 minutes, stirring every few minutes and being sure to scrap the bottom of the pan*. 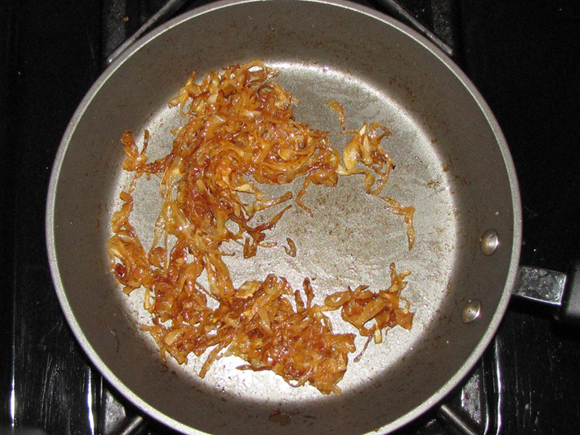 If your onions start to get too dark or are almost burning, turn the heat down a little and add a tiny drizzle of oil. You may also need to stir more frequently when you get to the 25 minute mark to prevent burning. 7. The onions are done when they have cooked down a bunch and they are brown in color. 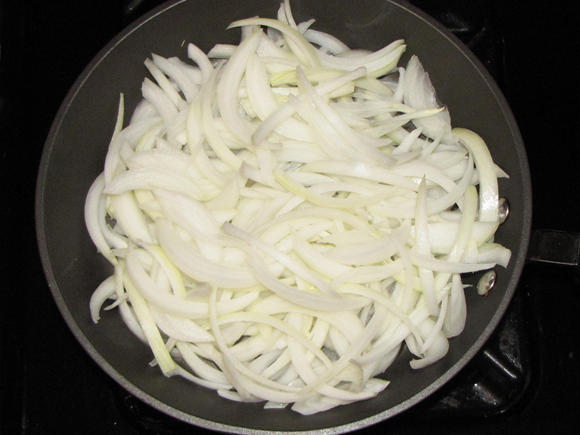 *Tip: If the onions start to dry out, you can stir in a little water until they are moist. Add just 1 tsp at a time though so you don't add too much. It will hydrate the onions and the rest will evaporate.